1 cup nut or seed butter such as peanut, almond, sunflower, cashew, etc. Mix all ingredients together in a large bowl. Form into balls, place on large plate, and refrigerate or freeze until no longer sticky, about one hour. Place in a covered container to store. Keeps 2 weeks in the refrigerator or freeze for longer storage and a frozen treat. 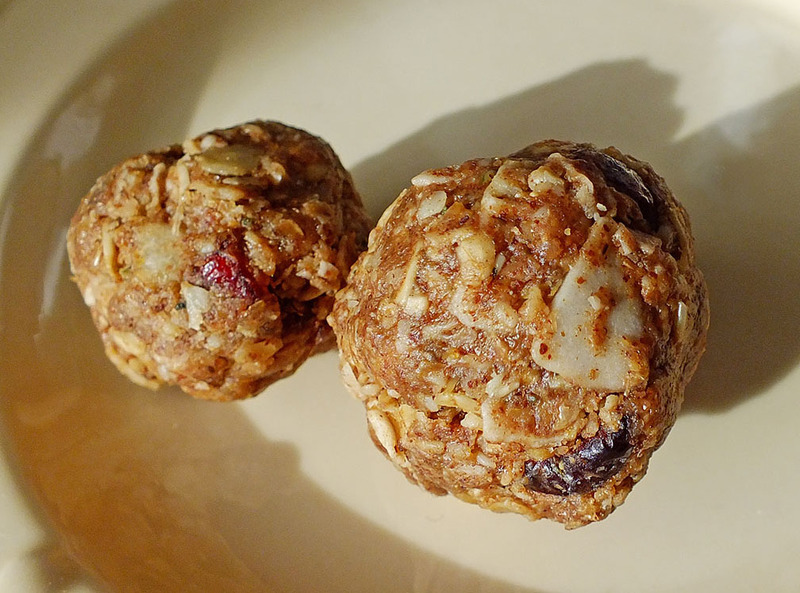 *Use gluten free oats or eliminate oats and add more nuts and seeds for a gluten free snack.